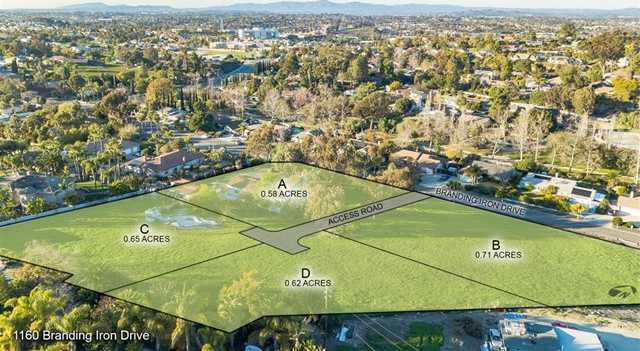 MLS# 190004818 - 1160 Branding Iron Drive, Vista, CA 92081 - Abacus Properties Inc.
ATTN: BUILDERS / INVESTORS – Great opportunity for new construction/spec homes on large open lot in prime location! Rezone application for R-1 to an E-1 estate currently in progress (approval hearing scheduled for April 2019). Upon approval, this beautiful 2.97 acre property can be split to build up to 4 single family homes. Property currently has a 5 bd/ 3.5 bath home which produces monthly rental income. See attached for Tentative Map. I would like to schedule a private showing for this property: MLS# 190004818 – $1,637,000 – 1160 Branding Iron Drive, Vista, CA 92081.